DMS Wellness is part of the 2018 selection and is running in Star’s race. The Star’s Jury will meet in September and will release the results the 5th of December, during the evening awards at Centre Georges Pompidou. 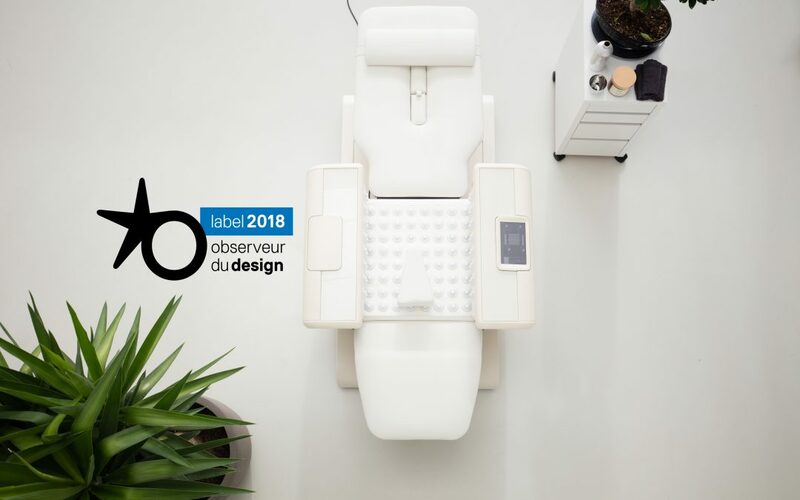 Organized by APCI since 1999, the Observeur of design is the french design award highlighting companies and designers’ talent. Design is a determining factor of differenciation and strong action lever. Besides, this contest fosters compagnies to work on innovative realizations. If Celliss wins a star, our product will be presented in an ephemeral exhibition during ceremony. Then, the stars and some of the Labels will meet different audiences nationally and internationally. The Design Observeur is open to all actors who want to celebrate design : companies, independants designers, design agencies, collectivities, public service, association and young graduate (art and design). The realization can be : products, services, spaces, pictures, experiences, innovative and ambitious. They must be designed or sold in France, to all users and in all activity’s sectors.